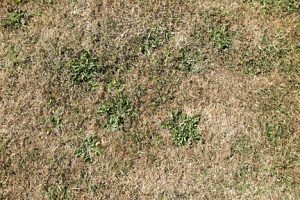 Due to the lack of rain and very hot conditions this summer, your lawn will have suffered. Here are a few tips to help to bring your lawn back to top condition. Scarify your lawn in order to remove some of the dead grass and give your turf a chance to breathe and regrow. This can be done using a scarifying tool, pitchfork or rake to punch holes into the soil. It is important to regularly water your lawn following a drought. One good soak each day will suffice and improve the condition of your garden. When mowing your lawn in or after hot conditions, it is recommended that you keep the blades set higher in order to give the turf a better chance to grow. To encourage some growth, use a light fertiliser to provide your soil with the nutrients it needs for regrowth. At Ivinghoe Turf, we have been supplying high-quality lawn turf to all areas of Hertfordshire, Bedfordshire & Buckinghamshire for more than three decades. Our hard-wearing turf is suitable for all types of gardens and is used by gardeners, landscapers and more.